Working together to target the "Hot" Ketchikan fishing grounds. 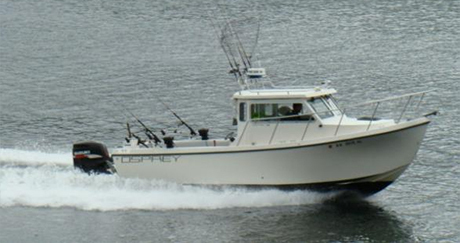 The boat is a true Ketchikan fishing machine. This 26 foot craft is powered by a new 300 HP Suzuki outboard with an enclosed hardtop cabin that keeps you comfortable when the weathers wet and a Ketchikan style porta-potty is located inside.This Boat was made to fish! The Margarita is a work horse on the water that can carry groups of 4 or more. Target Salmon & Halibut in warmth and comfort. Your captain has a passion for fishing in Ketchikan and enjoys sharing his time with first time anglers and the professionals. 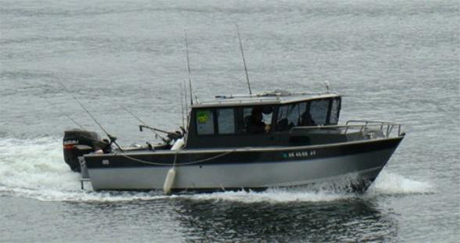 He will make your Ketchikan fishing experience a memorable one. 1st City Charters © 2015. All Rights Reserved.